Thank you for taking the time to read these pages over the years, and hopefully it entertained and informed you a little, and encouraged you to raise a glass of wine with friends as often as you could. For the record, this site was about wine in a general sense. If there is a common theme, it was about finding out where wine is the subject of the conversation, and linking these together. 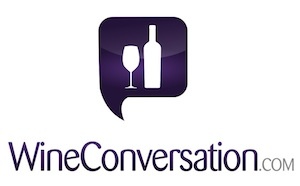 It was about wine marketing – what things wineries and wine brands did to bring wine to life? It was about innovation – packaging, communication, branding, distribution, and more. It was about wine culture – insights into how important, or otherwise, wine was in our daily lives, and what we could learn from its history. What we aimed to do was to highlight the role of wine “outside the bubble” and try to see what wine means to real people. Browse the archive using a relevant tag or search for a post in the navigation on the right. WineConversation.com by Vrazon.com is licensed under a Creative Commons Attribution-NonCommercial-ShareAlike 3.0 Unported License.